The most recent ebook written/released by My Awesome Foods. Comes with a brand new, modern, eye catching design that’s super easy to read. 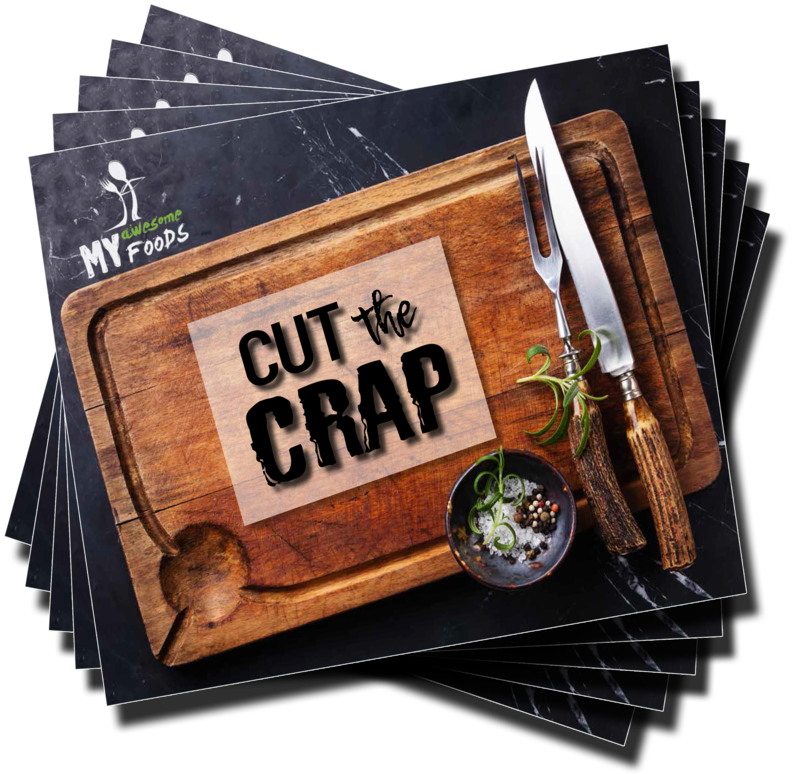 Consistent with the theme of yummy recipes – Cut The Crap is geared for a blend of late summer/fall eating (but could easily fit any season. It includes salads, smoothies, root veggies, marinades etc. 95% Gluten/Dairy Free – with everything capable to be substituted. If you’re looking for an eating change – this is it!